'Tis the season for baking as many sweets as possible! How many times have you decided on a recipe to bake, only to realize you are missing one or several ingredients? If you shop in advance for the basics and a few seasonal flavors, you can avoid that. Holiday baking - and winter baking in general - is all about warm spices. Think nutmeg, cinnamon, and cloves. Nutty flavors, molasses, and rich cocoa are all comforting in the cold months, and citrus fruit lends acidity for balance. Pictured below are some of the products I'm making sure to stock my pantry with this year to prepare for all of the cookie baking ahead! 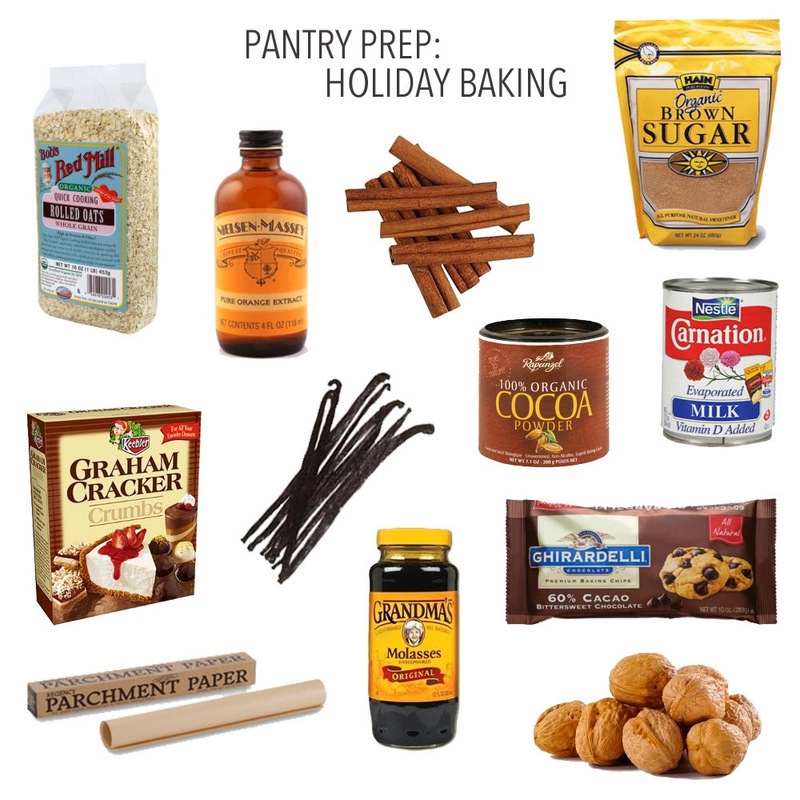 Then scroll down for a more complete holiday pantry checklist. …That should get you started. I'd love to know what you're planning to bake this holiday season! Any traditions or new recipes to try?